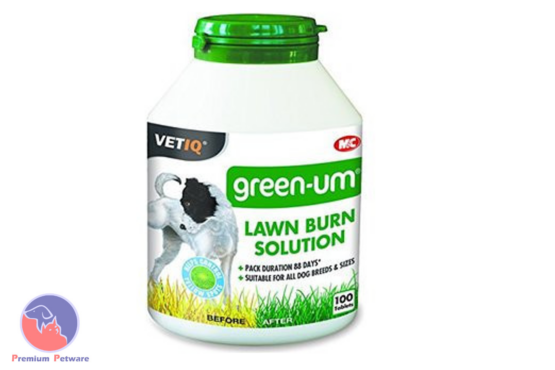 GreenUM Tablets can be used to prevent lawn burn. Green UM has been specially formulated with a natural plant extract, which helps bind the ammonia present in pet waste. It contains no chemicals, colour additives and preservatives and does not alter urinary pH or has any effect on kidney function. Green UM Tablets are a totally natural product which can be given to your dog on a regular basis and will help keep your garden lush and thriving. Green UM Tablets neutralize the potential for high pH urine that can damage grass. By feeding Green UM the pH of the dog’s urine should fall within a level that does not contribute to lawn burn. Use Green UM tablets with a protein controlled diet for best results.